This is another request from the open food requests here. 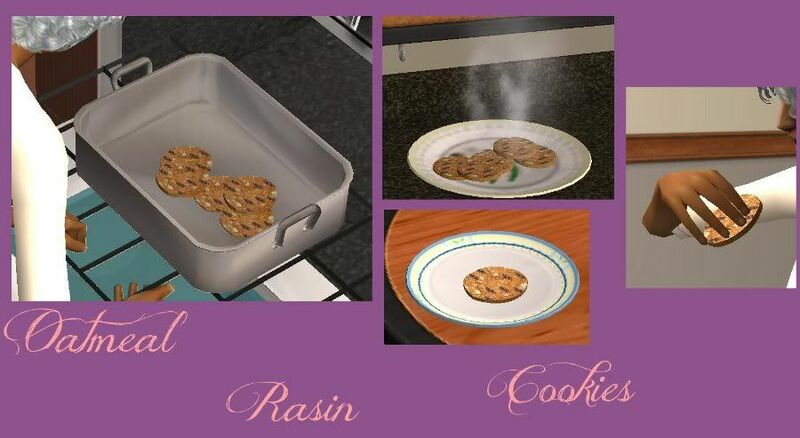 I'm sure this has been done before, but I wanted to put my own twist to an old favorite (after all if there was only ONE baker who made oatmeal rasin cookies in the real world, it would be very boring). Found under Serve Dessert.../Oatmeal Rasin Cookies, or Have Dessert.../Oatmeal Rasin Cookies. Cloned from toaster pastries so sims can pick them up and eat them, but instead of just for breakfast, these are available for all three meals. Enjoy! 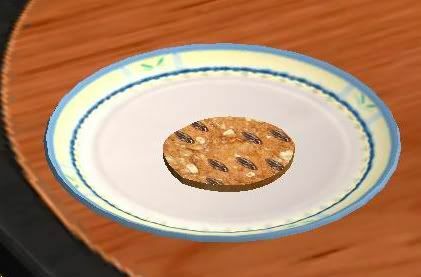 Please someone has a link for the Oatmeal Cookie for Sims 2? I need it please! Thanks for the help! @Ana Machado, the link has now been fixed, thank you.